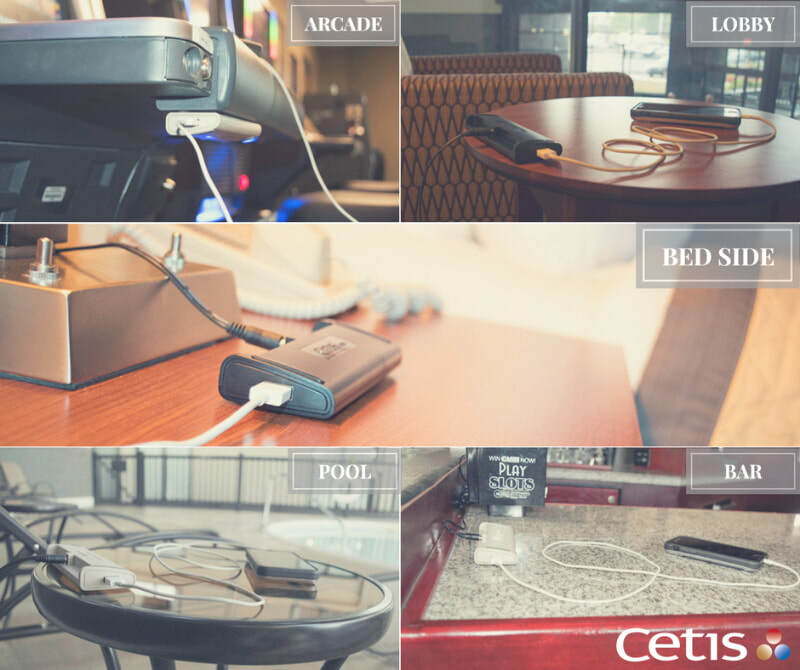 Versatile, low-cost USB charging options throughout your hotel properties. Give your guests the low-cost convenience of charging their smart devices almost anywhere on the property with USB Series, the most versatile charging stations in hospitality! 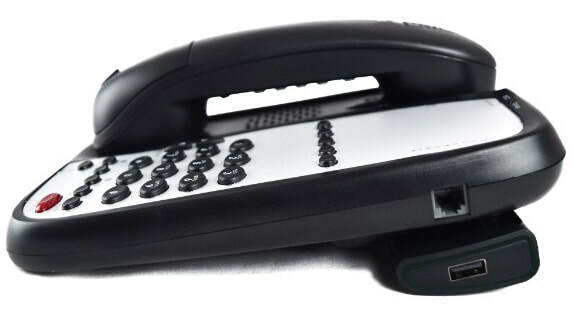 You may also easily upgrade your existing Ash or Black room phones for in-room guest charging. No need to unplug your room phone, or get out a screwdriver or pliers. Simply release the convenient adhesive strip and place the UCD100 charging station beneath your in-service room phone, plug in the wall ​adapter, and your guests are ready to charge their smart mobile devices via two built-in USB ports...one on either side of the unit. Complete the form to request a quotation, and opt-in for email updates.